I’m going away on the 22nd of September to Thailand for 2 weeks and I am super exited and just wanting it to come already!! If you know me I like to keep organised and I feel that packing can be stressful for even the most organised people, but have no fear. 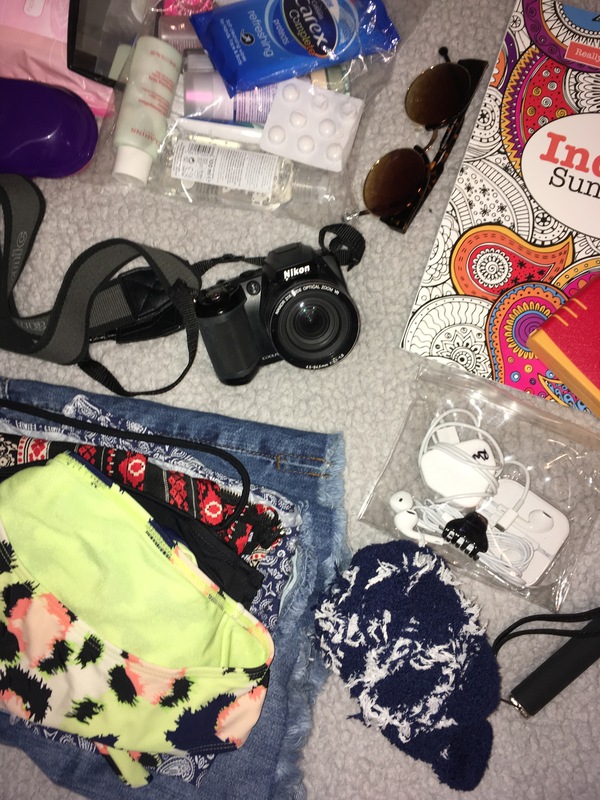 In this blog post I will be sharing my “Travel Essentials List” with you guys, this is the list I go to when going on a Sunny holiday. I would use it to go for a city break too just take out all the beach supplies. I have included my Carry On Essentials and also what I would take in my Suitcase. I have tried to include all the little details on which make up, skin care, hair care, beach supplies and accessories. I do hope this is useful for you guys, there might be a ton of lists out there but for years this is what I use and I haven’t forgotten anything. I just print my list out couple of days before I go and go through all of my luggage checking off everything that I have, at least I can then see what I have missed. Plus it might even be an incentive for you to purchase things in advance. For example I had only purchased a Power Bank charger as I have never flown long haul before and with a 13 hour flight I knew I wanted my phone to be on charge. So even looking through the list might help you with ideas of what to bring on your next trip. Feel free to use this list for your next trip if you find it useful. Just copy and paste, save or just print. If you want to see a video of how I pack then here’s the link “Pack with Me: Thailand” it’s on my YouTube channel, on that video you can see how I pack and what I take with me. 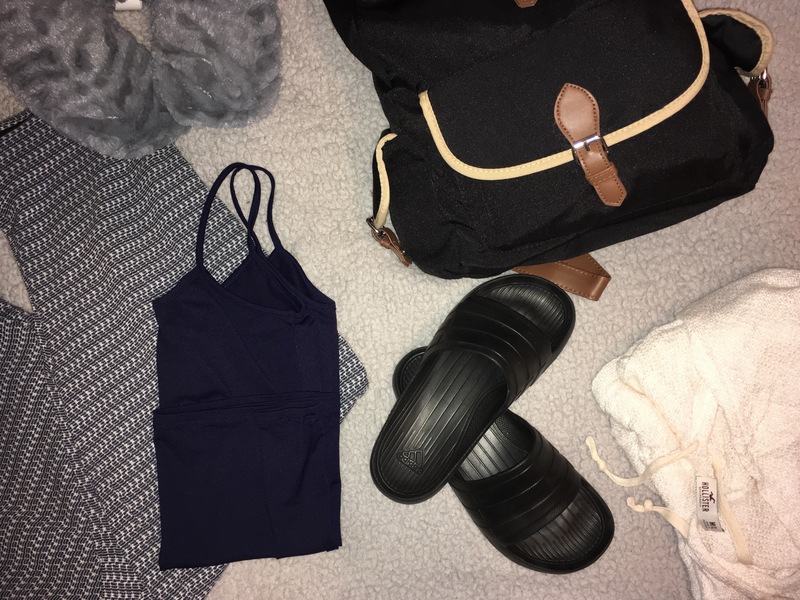 TRAVEL OUTFIT: I like to know what I am going to wear before hand because it’s usually cold in this country whenever I tend to go on holiday, and there is a dramatic difference in weather when I land in the other country. So I need to think ahead and layer so then it’s easier to take off the clothes on the other side than being cold all the way on the plane. CARRY ON: What I tend to do on my carry on luggage is take spare clothes with me in case my suitcase goes missing or is delayed, at least then I have some spare clothes, shoes and bikini to last me a couple of days. If you are on a long haul flight then it is important to pack enough entertainment so that you are occupied and in case you don’t fancy a film. DOCUMENTS: These are basically the very important bits to take with you on your carry on. What I tend to do is take a plastic file and put everything in one place so when you need them you know where to find them and it’s organised. 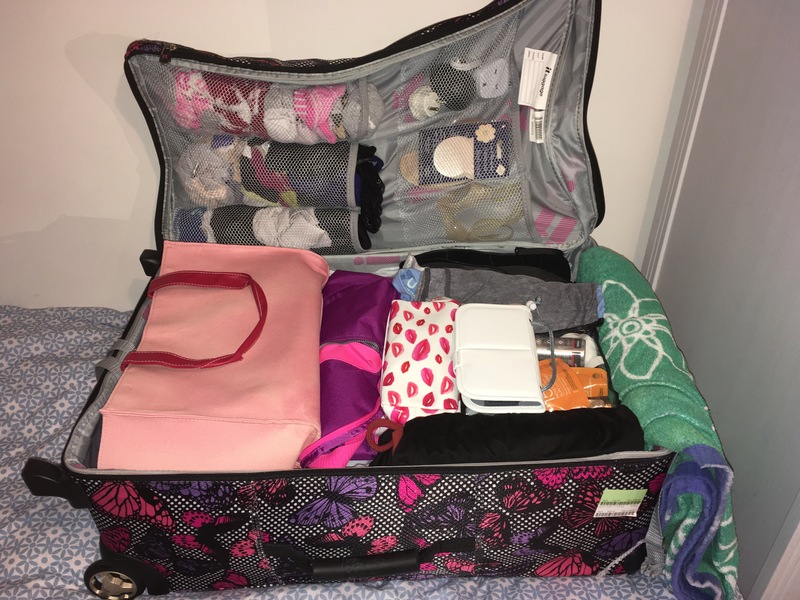 CABIN SUITCASE: What I tend to do for my suitcase is roll all my clothes up so they don’t get as creased and you are allowed more space to play with. Another tip is to separate your clothes from your toiletries using plastic bags, I feel this gives you security in case something leaks in your bag and damages your clothes but also I use the plastic bags as dirty laundry bags on the way home too. Another tip is to use towels as a cushion around your suitcase to prevent any damage, so I would put 1 towel down first before anything and then after putting everything in another towel on top to secure everything. Down below is the list of things I would usually put in my case. 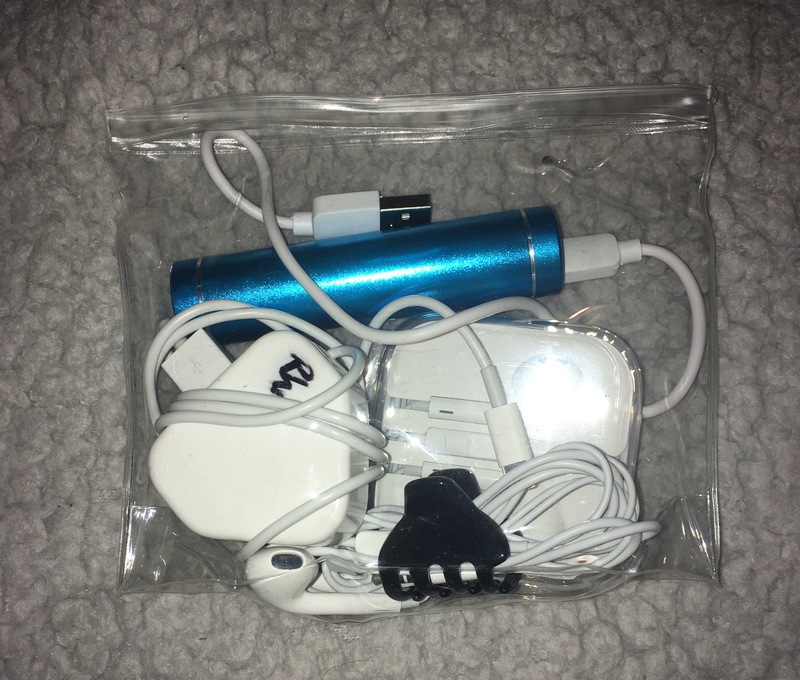 ELECTRICALS: A tip is to roll up all electrical cables (headphones, chargers) into a clear plastic bag so then you know that they’re all in one place and that they wont get all tangled up. Try and keep them all in one space so it’s easy to reach and I tend to secure them with clothes or towels if they’re in my suitcase. TOILETRIES: For me toilatries are probably the heaviest thing in my suitcase, I take quite a bit and it does add up. I tend to keep all of these in one bag and seperated by plastic bags from my clothes on top of my case. A tip for you is to put cling film around the top of bottles and then seal the lid so it prevents any spilage. If you are only taking a carry on then you are only allowed worth 1 litre of liquid but seperated into 100ml bottles. With this be sure to know exactly what you’ll need and if its neccerssary to take it. ACCESSORIES: Now I try to take as few as these as possible and try and mix and match my clothes with them. So I tend to take “going out” sandals in black, tan and white and during the day I have a pair of sliders or flipflops. I then take 3 cross body bags in the same colours so I can match outfits to go with them so it’s easier for me. To pack shoes i place then side to side facing each other so theres more space. Going to Cambodia on the 2nd day is quite tough but I’t what’s booked. We are not taking our suitcase only out hand luggage. We are allowen 7kg and that is to hold 2 nights worth of clothes and toilatries. What I have planned is to put everything I’m taking to Cambodia on the top of my suitcase so I can easily grab them and put them into my Carry on. I’ve finished packing and weighed everything and everything is suprisingly under. I’m allowed 32kg to go but my internal flights only allow 20kg so my suitcase weighs in at 15.4kg. My carry on bag is only 7kg and I weighed mine with all toilatries and make up i’m taking to Cambodia and it was only 3.4kg. Very happy about that. Hope you guys liked the read. Let me know what you guys think and what essential that you always bring. Thanks for reading guys, see you in my next post.